Comment: Front yard is full of all kinds of weeds. We want them all sprayed and gone. Trying to get the yard ready for some landscaping, but have to get rid of the weeds first. Comment: Id like a professional to take a look at my irrigation back flow valve and the the cylindrical tubes that are are next to it. There is water flowing from these tubes and I do not believe that is normal. Thanks! Comment: I have a loose Zurn backflow preventer. My brother told me he dropped Little Giant ladder on it. I put metal key to hold backflow so it won't run. Also when I was in yard in front it was really mushy in parts. I didn't check other area i.e. Backyard cuz I'm already freaking out. Comment: Remove yard waste and debris. Comment: Yard care - initial aeration and some seeding. Sparks Lawn Care Services are rated 4.63 out of 5 based on 2,065 reviews of 12 pros. 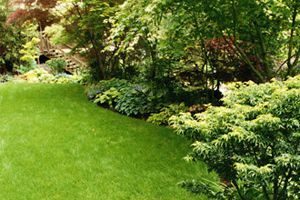 Not Looking for Lawn & Garden Care Contractors in Sparks, NV?